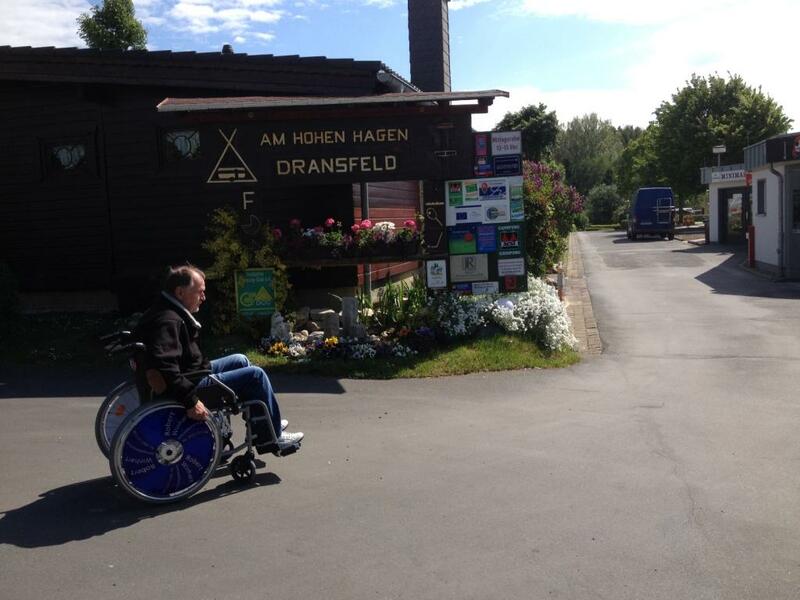 The Campsite „Am Hohen Hagen“ in Dransfeld offers an innovative concept that is unique in Europe due to it‘s sustained and integrative standard. 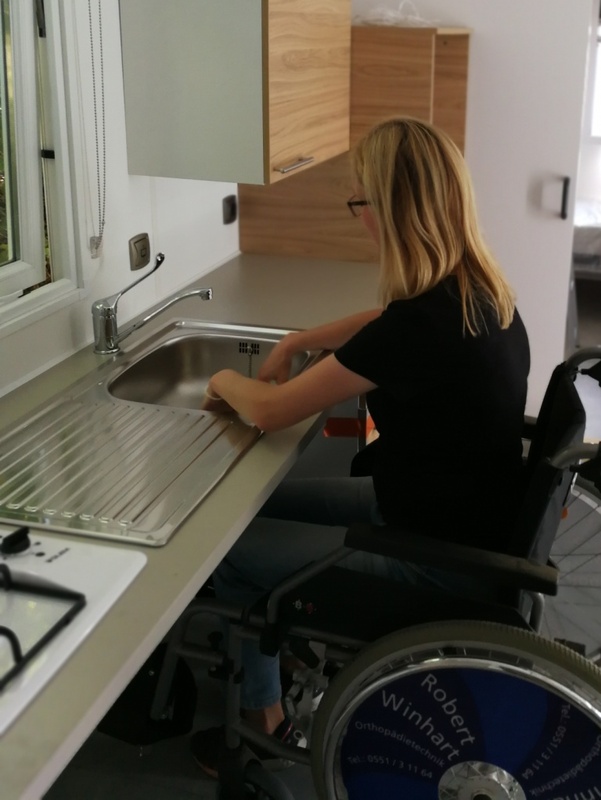 To welcome handicaped guests on the campsite, family Lesser is dedicated to implement accessible mobilehomes, including an all-round-service, by 2020. 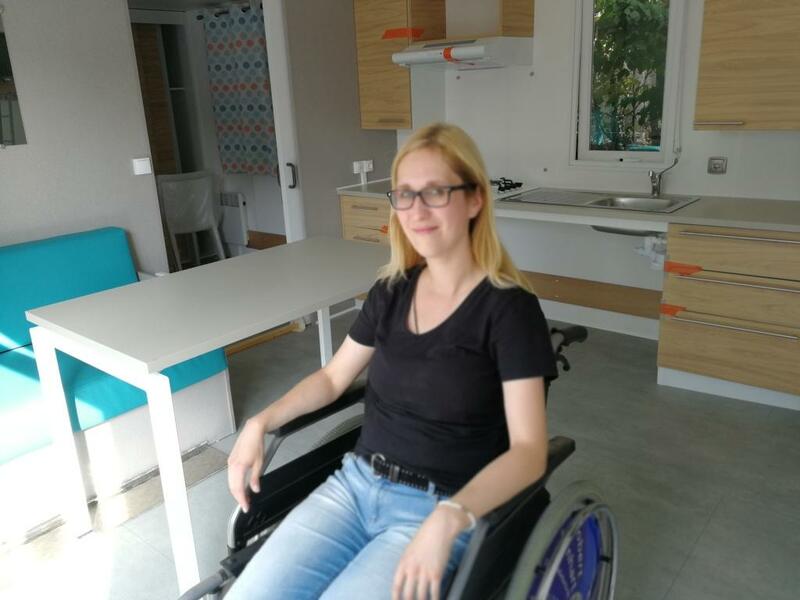 The first mobilehome entirely accessible for handicaped guests will be completed in autum 2018. 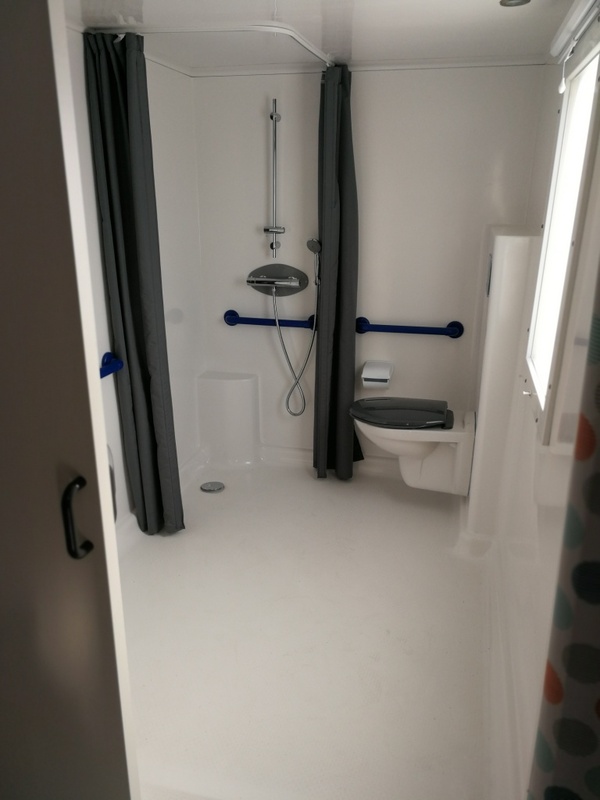 The mobilehome has a special entrance for wheelchairs as well as enough space inside to turn. The bathroom is at ground level and includes support brackets. Furthermore, the mobilehome is build using sustainable material, and includes saving heatings and a flow controller. 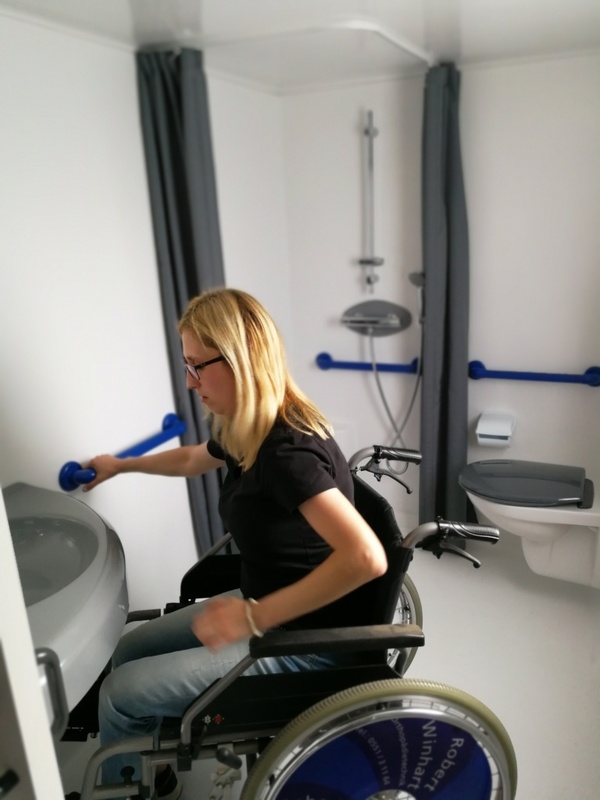 Thanks to the cooperation with local partners, our handicapped guests can take advantage of various services such as drugstore services, wheelchair transport or the provision of a wheelchair on site.